John “Jack” Hueter provides operational consulting services to assist healthcare organizations with strategic and tactical solutions that support the evolution of healthcare reform as the CEO of Digital Health Consulting. In this role, Hueter provides interim CIO Services, Epic executive advisory services, strategic planning, electronic medical records meaningful use implementation, and analytics solutions to support Health Information Exchanges and Regional Extension Centers. He drives the planning and implementation of systems to support electronic medical records and operational support of legacy healthcare systems to protect the critical data needs of his clients. Current and past clients include: University of Pennsylvania Health System, Catholic Health Initiatives, New Hanover Health System, Lehigh Valley Health System, St. Luke’s Health System, Inspira Health Ssytem, AtlantiCare Health System, Healthcare Exchange of SEPA, Premier Alliance and the State of New Jersey Regional Extension Center. Hueter is a trusted advisor to the heathcare industry in the field of information technology healthcare solutions and medical records support. Prior to founding Digital Health Consulting, Hueter was a Partner at IBM’s Healthcare Division leading the U.S. East Region where he managed national and global healthcare consulting teams. Hueter spent over two decades in senior technical leadership positions related to the field of healthcare and IT. His roles included VP and CIO of Catholic Health East, one of the nation’s largest health care systems of 31 hospitals and 43000 employees, and VP and CIO of Mercy Health System and Franciscan Health System, respectively. Early in his career, he was with Ernst and Whinney as a manager in their Information Systems Consulting Team. He has published multiple articles about cybersecurity, blockchain, and the role of healthcare delivery, healthcare system polices with IT predictions. 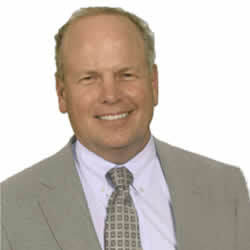 Hueter earned his bachelor’s degree in Accounting and his MBA from Rutgers University. He also holds a Certified Public Accountant license.